BJP leader H. Raja apologises, HC closes contempt proceedings..! 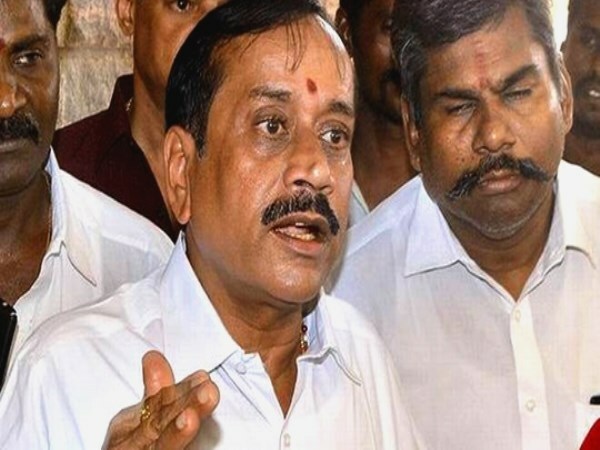 The Madras High Court on Monday closed a suo motu contempt of court proceedings initiated against Bharatiya Janata Party (BJP) national secretary H. Raja after accepting his unconditional apology for having made “scandalous” remarks against the judiciary recently. A Division Bench of Justices C.T. Selvam and M. Nirmal Kumar took the decision since the contemnor appeared in person before the court and filed an affidavit stating that he had turned emotional and made the remarks “accidentally” in an extremely agitated state of mind. The Bench had initiated the contempt proceedings on September 17 pursuant to the circulation of a video clip on social media. The video was supposedly shot during Vinayaka Chaturthi celebrations at the Tirumayam police station limits in Pudukottai district on September 15. In the clip, Mr. Raja could be seen picking up a quarrel with the police over the latter citing High Court orders to deny permission for the erection of a dais in a public place. He then reportedly used objectionable words in Tamil to insinuate that he didn’t care about the High Court, though he subsequently denied having made any such remark. Taking serious note of the video, the judges in their September 17 order had said, “We judges are but cogwheels in the administration of justice till we have done our time and wane away. It is the majesty of this institution, the honourable superior court and courts below, which is paramount, and it is this that we seek to uphold.